Find fun things to do in Ireland over Halloween | Book tickets for your favourite Halloween events. A selection of events, pumpkin patches , parties and activities to do in Ireland this Halloween. The Ark Playcentre at Puddenhill is under new management and they are planning some spectacular Halloween parties this year. Each party is three-hours long and will include the fun indoor soft play area, outdoor playground and animal farm at the play centre. There will also be a few spooks along the way, face painting, disco and every child will get a pumpkin to take home! Delta Sensory Gardens host their annual Halloween Experience with lots of wicked and wonderful things that will make you jump in the gardens. There will be plenty of Halloween activities to entertain the whole family including face painting, glitter tattoos, arts & crafts and a scavenger hunt down in the gardens. Book your preferred time-slot in advance. During the Halloween Experience you can play in the spooky barn, visit the witches' den and have fun in the hay maze. There will also be a ghost carriage, the blue barrel express and horse and carriage rides available for extra. The whole museum will be turned into a spooky fright fest with lots of fun for all the family. Arrive any time during the October season and have a spooky kiddie friendly fright at any time. There will also be lots of ghostly goodies to get everyone into the Halloween spirit and you can get your own Trick or Treat Wax Hand for a funky fright! Are you brave enough for the mummy in the Crannóg and the coffin in the Stone Chamber? Get into the Halloween spirit and take part in the Little Spook’s Treasure Hunt around the Celtic Gardens. Bigger kids can enjoy the Super Spooky Scavenger Hunt around the greater Brigit’s Garden. Collect the clues and help us get rid of the spell cast on the Gardens by the nasty Púca! It a spooky time at Slieve Aughty during the Halloween Festival, with ghosts and goblins, haunted houses, The Enchanted Forest, Halloween tricks and treats, scary stories, costumes and face painting, horses. You can also get dressed up and join them for Halloween themed party games, crafts, disco dancing and trick or treating on 31st. Wains World in Buncrana is hosting a fun-filled Halloween party with facepainting, treats, juice and full use of the indoor play frame. The Poisonous Pantry returns to Blessington this Halloween with Cookie Decorations, Face Painting, Spooky Storytelling and Yummy Hot chocolate. Booking essential. When: October 27th - 31st. Irish emigrant Bram Stoker features in the museum vaults, so EPIC is embracing their inner-Dracula with a fang-tastic Halloween party! Go dressed as your favourite spooky character, do creepy arts and crafts, play games and have loads of fun. There will be treats on the day and face-painting to make you extra scary. Recommended for ages 5 - 11. Each ticket purchased also counts as one child ticket to the museum! Junction 6 is a new Health and Leisure village just off the M50 and home to a new children's play center, Ship Shape Kids Play. During the mid-term breark they are offering entry for only €6 for each child plus a free tea/coffee for the grown-ups. Select the finest pumpkin you can find and start painting and decorating. When you are finished you can spend the afternoon taking a trip around Bunratty Castle and Folk Park, meet the animals and have fun in the playground. A fun, entertaining and informative day of dress-up and games. View the Halloween Harvest display and Decorated Pumpkin Exhibition, discover all about magical plants when you visit the witches in their garden and try your hand at some of the maths puzzles and games that will be run by Maths Week Ireland. Playtown Tullamore Is a family run imagination based miniature town play centre with over 21 real life themes such as a fire station, Garda station, salon & supermarket etc. over two levels . From Saturday 27th October to Friday 2nd November, they will have up to 4 play sessions daily with a spooky town to explore and prizes for best fancy dress as well as hosting a Baby & Toddler Halloween party, Halloween party & Spook Camp over the Halloween period. Step inside a world you thought you knew and discover what happens when an ancient curse is broken. But don’t expect a happily ever after, for these stories have a twist in their tale; escape the Witch, save the Prince, find the answer you seek the most. There will be other fun activities including face-painting, arts and crafts, the zoo, and other attractions around the park. Suitable for 6 and over. 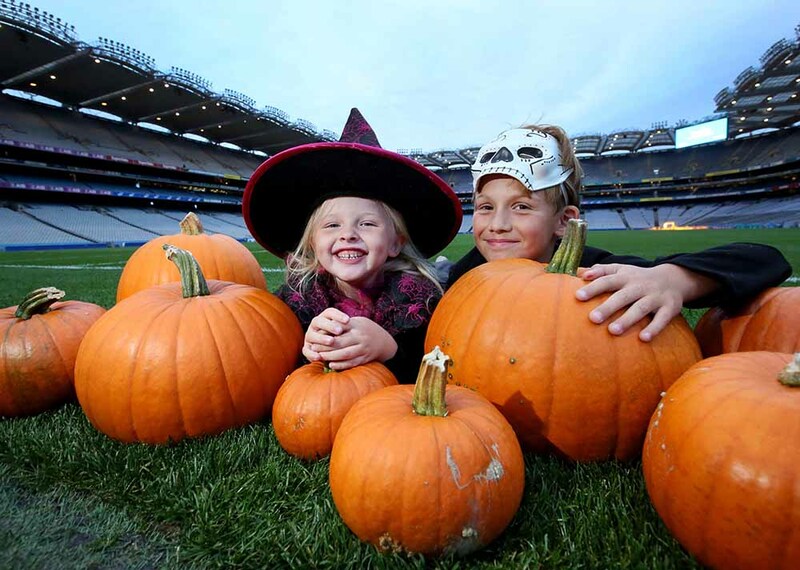 A magic show, tour of Croke Park, photo opportunities with the famous Sam and Liam cups and a harvest menu at the GAA Museum this Halloween. Are you ready to scare yourself silly this Halloween?! Westport House will be hosting it’s annual Halloween Fest with plenty of ghoulish delights, scary stories and creepy fun that all the family will be able to enjoy! Head to the Haunted Estate House, gather ‘round the cauldron for scary story time, visit the dark dungeons where the Pirate Queen Grace O’Malley locked up her prisoners, carve a creepy pumpkin, decorate some ghoulish goblin cakes and more. 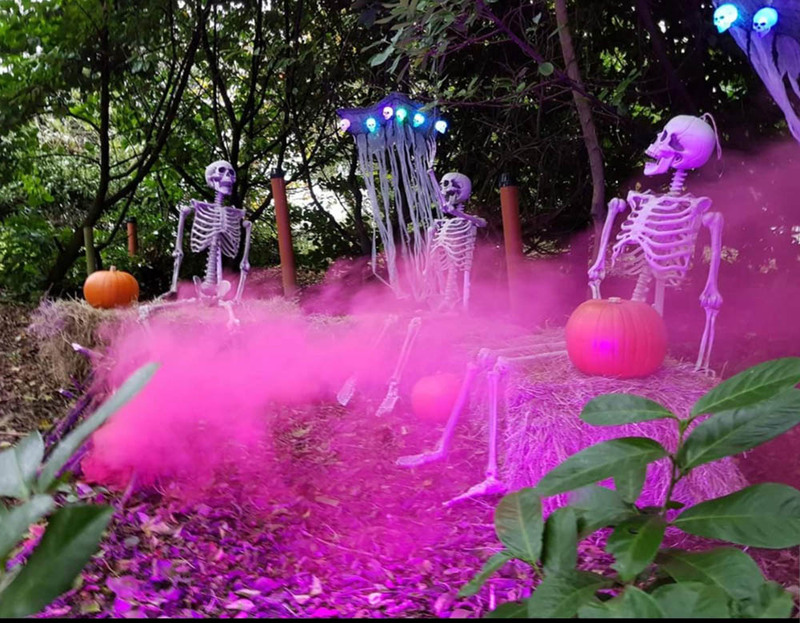 Halloween Happenings returns to Lullymore Heritage & Discovery Park with lots of ghastly ghouls and terrifying treats in store including Haunted Holograms, Terror Train Trips, Terror Treasure Hunts and freaky fun in the devilish den of play—the Funky Forest. A safe family Halloween event with a spectacular fireworks display in three Dublin venues. Arrive in your fancy dress (bring a torch) and enjoy the live entertainment before the main event. The Rink @ D12 is Dublin's premier family fun centre combining roller disco, dance and fitness under the one roof. This Halloween, the huge roller disco is perfect for a spooktacular night out. There will be prizes for the best fancy dress and skate hire is included in admission. 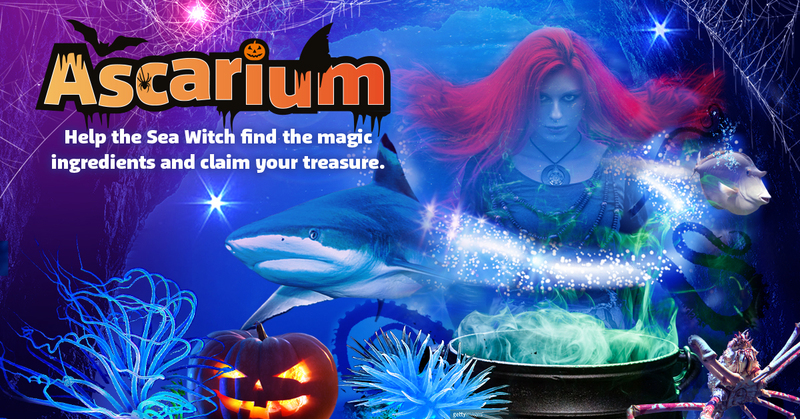 Get ready to be spooked this Halloween in Bray with Ascarium. Immersive in-tank trail, celebrating the creepy creatures of the deep – help the Sea Witch find the magic potion ingredients and claim your treasure. Supervised play time with scary arts & crafts, themed bowling, games in The Congo Quest, best dressed prizes, spooky face painting & lots more. Board The Luggwoods Express where fairy-tale characters will guide you on an interactive and fun journey through the Enchanted Forest. Along the way, you will help our fairy-tale characters find the ingredients for our Friendly Witches magic potion, walk through the mystical forest Pumpkin patch and meet the friendly witch in the Big Red Barn. Choose and carve your very own Pumpkin lantern, enjoy rraditional Halloween games, face painting and harvest your pumpkins seeds to grow your own pumpkin. Cast and paint your very own Halloween monster this mid-term. You can choose from a witch, pumpkin, cat, ghost, Frankenstein, vampire, werewolf or pirate skull. Make them, paint then and take them home...if you dare! Costumes & Pumpkins & Candy Oh My!!! Arrive in costume and use the clues to hunt the pumpkins in Dunmore Woods. Have some hot chocolate with marshmallows, munch on some Halloween candy, try our bean boozled challenge, make some slime and get your face painted and listen to some scary stories. For the past few years, Ken Carraher has build a Halloween crypt in his garden in Killiney and has raised almost €30,000 for Debra Ireland. The crypt is open for Halloween again this year and donations are welcome. Halloween family fun returns to the maze this year with a Halloween Hunt. Other activities are also available including wooden maze, crazy golf, zip wire and more. No bookings, standard admission. Get in the spooky spirit with Dracula’s own DJ, spinning the decks and scratching vinyl at our outdoor family dance party. Dracula’s Disco returns with DJ Will Softly on The Ark’s outdoor stage, complete with confetti cannons to inspire some seriously deadly dancing! This Halloween join the ghouls of Wells on a scary journey through the estate where you will explore the basement and discover the mysteries within! Hear the whispers of the night as you delve into darkness and learn the gruesome stories of the past. Adult-only night-time tours are also available...if you're brave enough! Kia Ora Mini Farm will be transformed into a spooky farm for the whole week. Try the electric chair, visit the spooky wake and meet many monsters as well as feeding the animals, taking a trip on the fire brigade, play in the sandpit, milk the cow, operate real diggers and more. Halloween is a special time of year at Causey Farm. Ghouls, goblins, and ghostly goings-on are just waiting to send a silly shiver down your spine at Pooka Spooka. Enjoy Birds of Prey display, traditional games and crafts, scarecrow corn maze, mirror maze, hayride, broomstick ride, story telling and more. The Bram Stoker Festival returns for the seventh year with four days of living stories and four nights of deadly adventures. Events include three nights of adults-only horror-comedy screenings in the Botanic Gardens, Dracula's Disco, Macnas Parade, spooky Paintclub at EPIC, The Irish Emigration Museum and Stokerland, a pop-up Victorian fun, family day out in St. Patrick’s Park on 27th & 28th October. The birthplace of Ireland's Ancient East is bringing you Ireland's biggest and scariest Halloween festival. There is a mixture of events – haunted hills to eerie graveyards, tour of shadows to friendly witches and spooks and spells, thriller-nights to terrifying terror houses that will delight and frighten all ages. Creepy arts and crafts, spine-chilling keeper talks, spooky face-painting, monster music on the Great Lawn plus more festive fun! 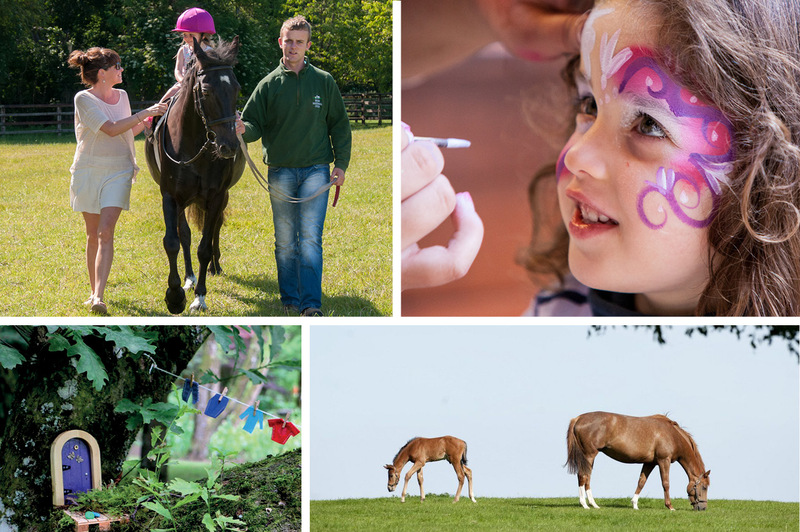 Fancy dress, free pony rides, face painting, magic shows, craft workshops, a spooky tunnel experience as well as all the regular attractions make this a fun outdoor family day out this Halloween. The Macnas Halloween Parade in Galway is the largest free event in In Ireland for Halloween with over 54,000 people lining the streets every year to be awed and amazed by this epic scale of storytelling. This years story celebrates the act of transformation being unleashed upon the city. A world that is hypnotic and intoxicating, glittering, mysterious and filled with shadowy and noble things. Macnas also return to the streets of Dublin to present an unforgettable nighttime parade as part of Bram Stoker Festival. Over the mid-term, Wicklow's Historic Gaol are running two specail tours. First a Spooky Fancy Dress tour on 29th & 30th followed by a Spider Hunt on Halloween. Are you brave enough to search the corridors and halls of Wicklow Gaol for spiders? Delig Inis theatre group present their annual performance at Dublinia! Meet the Medieval Dublin chancer, Bran the grave digger, who has the gruesome job of hauling poor souls to the local graveyard and find out all about the strange tale of Drunken Thomas’s encounter in St. Michael’s graveyard, and just how much he managed to upset the dead at Halloween!! The Haunted Spooktacular returns to Grove House for the 14th year this October. Whether you’re a Horror movie fanatic, or a Halloween junkie, love to be petrified or just enjoy the detail of a highly interactive one-of-a-kind experience, Haunted Spooktacular has something for everybody. Carrowmena's "Field of Screams" is set to be the best Halloween event in the north west of Northern Ireland. With special effects and characters, will you be brave enough to make it the whole way through the maze? Sligo Folk Park host a fun trick or treat trail this Halloween with lots of fun for children from 3 - 8 years old. The annual Scare in the Park is on Halloween night 31st October from 5 to 8pm. Both events are €5 per child and children must be accompanied by an adult at all times. Halloween at Moher Hill Open Farm is the time of year when the witches and ghouls come out to scare. There will be a special children's magic show featuring ‘Pegani’ The Great Magician, play traditional Halloween fun and games, face-painting, bouncing castle, go karts, ball pool and more. If ghosts and ghouls aren’t your kind of thing this Halloween, bring the family to Killruddery for a weekend of bright and seasonal fun! Go to the pumpkin patch in the Walled Garden and choose a pumpkin of your own with help from our farmer. Then you can design it and have it carved out by a master craftsman! Captain Jack & Aye Aye Izzy are back at it again with their Spooky Halloween camp featuring arts & crafts, pumpkin carving, pirate treasure hunt, adventure golf, paddle boats, go karts and more. Belvedere House, Gardens and Park is great to visit at any time, but the Halloween Treasure Hunts are particularly wonderful for families. Expect lots of fun and treats. A guided spooktacular family cyclewhere you can listen to tales of the unexpected, children can answer the question hunt and crack the code and you can collect items for the witches cauldron. The Presentation Arts Centre is a new multi-use arts venue in Enniscorthy, Co.Wexford, situated on the site of the former Presentation Convent. Over Halloween they will host a number of fun events including Jackula, pumpkin carving workshop, face painting and a movie screening of Casper. Boo at Ballymaloe – an interactive Halloween experience for kids in search of a frighteningly-fun adventure – will take over the famous Ballymaloe Grainstore in Shanagarry, Co. Cork over the mid-term. It is designed to suit children from three to twelve years with the themed event taking place from 10am to 6pm each day.